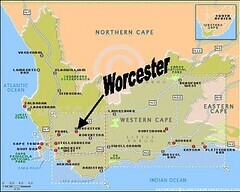 We are living at the YWAM base in Worcester at the moment. This is an amazing place to be, we are part of an intercultural team of 38 nations who together are reaching out to locals here in worcester in the schools twonships sqauters camps and streets, together we are reaching out across the continent with a team just coming back from Mozambique and us off to Tanzania and then Kenya soon. The base has “Gateway to Africa and the World” painted accross the front of “the glory hall” our main meeting hall, and this truely is a gateway, so many young people are being released to the nations. Young people who long to go where God wants tem to go but have no chance with many missions organisations have been scattered like good seed across the nations of the world from here and other YWAM bases across the planet. I love to the at the wall where we have pictures and photos of all the missionaries that are serving as long term missionaries in so many nations of the earth. Just young people who have had thier callings and passions and hopes encouraged and blessed and have had been given a chance to say “here i am send me”.